Beyoncé’s Dad has approached a KU music graduate to come and work for him after recognising her blogging skills. Sazrah Producer, real name Sarah Hunt, graduated from the University in 2012, and Beyoncé’s Dad is the latest on the list of big names that she has worked with. “I recently blogged about a songwriter whose manager works with Beyoncé’s Dad, Matthew Knowles. The manager then called me whilst he was sat with Matthew. “He asked if I was interested in blogging about a female rap group that Matthew manages and I am now in touch with the group’s agent,” said Sazrah. Along with her blogging talents, Sazrah, who “tends to wear a lot of hats in the industry”, is also creating a storm in the music scene. After writing a song made for a girl band, the Cambridgeshire resident has high hopes for who might take it up. “Once I complete it, I am going to give the lyrics to Little Mix’s manager, as a meeting is being arranged with her for a potential blog too,” said Sazrah. The 30-year-old confirms that KU has played a big part in her career thus far, particularly in music production. Sazrah’s remix for US rapper, 50 Cent, which received worldwide airplay, surfaced from an event recommended to her by Kingston University. “I met the co-founder of BBC Radio 1xtra, Ray Paul, at the event in Camden’s Roundhouse. By meeting him, I was given the opportunity to produce a remix for Damian Marley and Nas,” said Sazrah. Speaking about her achievements since graduating at the KU Bright Future programme, Sazrah was recognised by Knowles’ team again when they congratulated her on the speech. 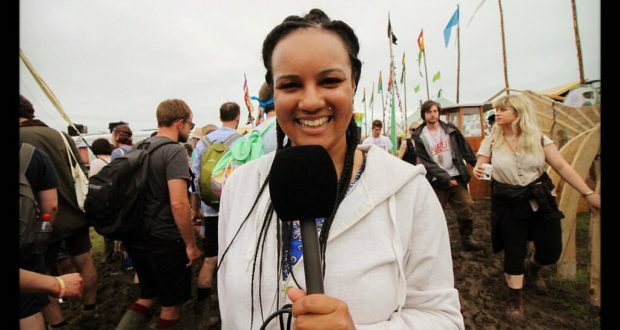 As well as producing music, Sazrah landed herself the role of presenting live from Glastonbury, after volunteering at Kingston Green Radio during her time at KU. Next summer will be her fifth time at the festival where she presents promotion videos for the Green Futures field and interviews acts while airing her own songs in between. Her versatility in being able to to produce, present and blog has helped the graduate become recognised in the music industry, which in turn has led to numerous opportunities. “You can always bring your skill to any workplace, just let people know your skill wherever you go and somebody always knows somebody who needs that skill. “Know your worth but still help wherever you can because it always comes back to you,” said Sazrah. One of her main inspirations is rapper and producer, Missy Elliott, who congratulated her on her graduation four years ago.